A Mets fan from Raleigh lost a bet this week. But don't worry, he's paying his debt! Jake, who goes by @fellashleep on Twitter, tweeted the bet on March 9. 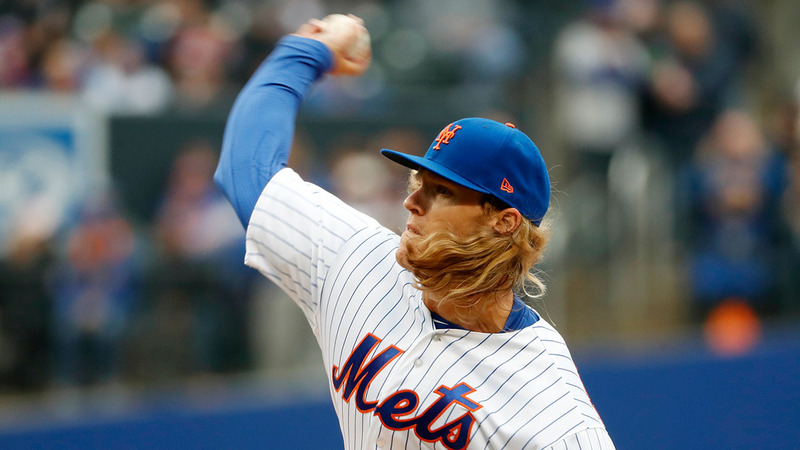 If Noah Syndergaard threw at least 10 strikeouts on Opening Day, Jake said he would dye his hair from dark brown to blond. Well, Mets Opening Day was Thursday and "Thor" pulled through. So, naturally, Syndergaard took to Twitter after the game to remind Jake of the bet. And Jake told ABC11, he definitely plans on going through with it. In fact, he says his hair will be much lighter by about 8 p.m. on Friday.